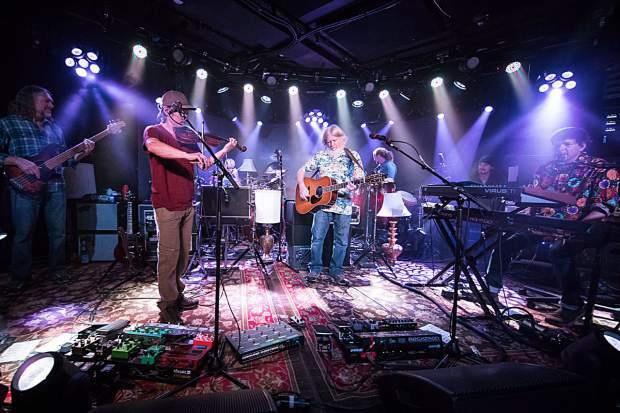 The String Cheese Incident's Bill Nershi photographed at Belly Up in 2017. The band will return to Belly Up on Friday and will headline The Apres at Buttermilk on Saturday and Sunday.. 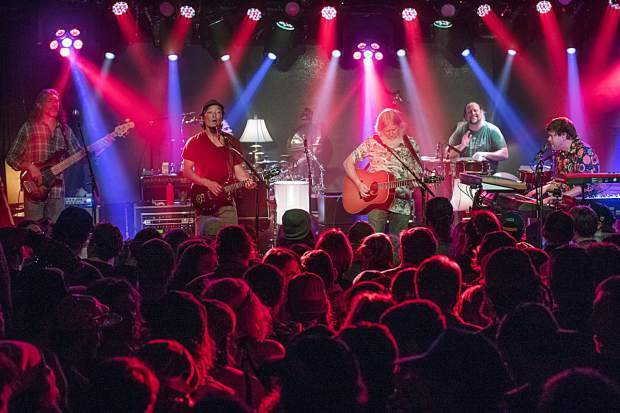 The String Cheese Incident photographed at Belly Up in 2017. The band will return to Belly Up on Friday and will headline The Apres at Buttermilk on Saturday and Sunday.. 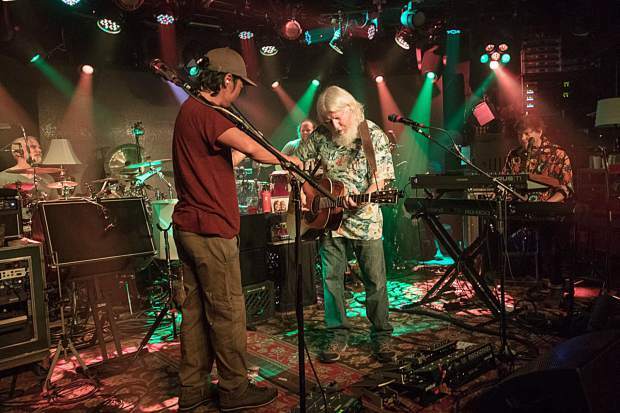 The String Cheese Incident photographed at Belly Up in 2017. The band will return to Belly Up on Friday and will headline The Apres at Buttermilk on Saturday and Sunday. 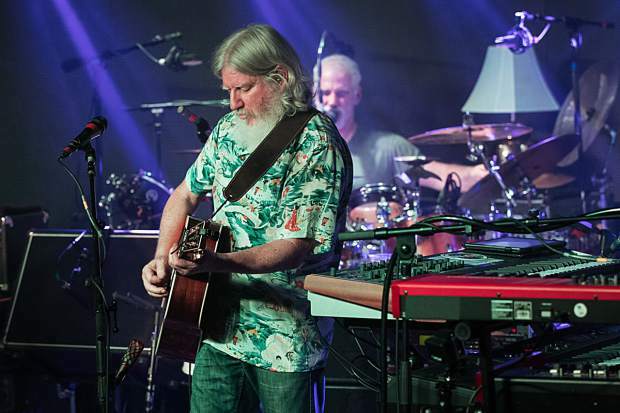 The String Cheese Incident brings its 25th anniversary tour to Belly Up on Friday and The Apres at Buttermilk on Saturday and Sunday. 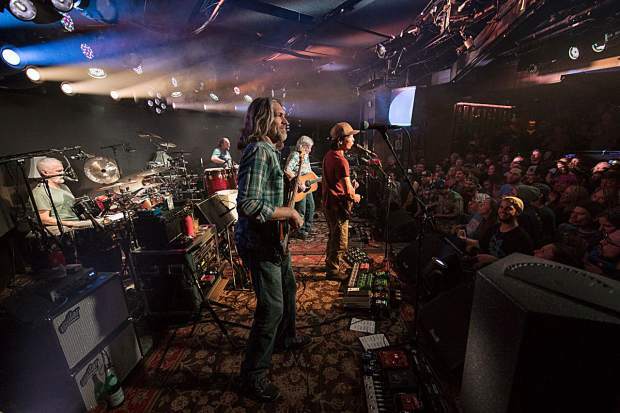 When: Belly Up Friday, April 5, 9 p.m.; The Aprés Saturday April 6 & 7, 6 p.m.
Long before they became jam-band royalty, The String Cheese Incident’s earliest gigs were apres-ski shows slopeside in Crested Butte. So there’s a resonant full-circle feeling for the band as it headlines The Après — Aspen Skiing Co.’s big new spring music festival on Buttermilk Ski Area — and celebrates its 25th anniversary. 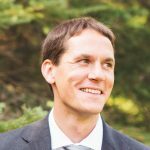 “Playing outside on the mountain when everyone has been skiing all day out on the mountain, it just feels really familiar,” String Cheese bass player Keith Moseley said in a recent phone interview from home in Longmont. The band will headline a sold-out Belly Up on Friday night and The Après on Saturday and Sunday night. String Cheese is planning two full sets for each night on the hill at Buttermilk as the centerpiece of a six-band, three-day festival that coincides with Buttermilk’s closing day and (fingers crossed) warm spring-skiing conditions. “It’s going to be great to get up there for a season finale kind of thing,” Moseley said. During those modest proto-Cheese shows, the band was a trio of Moseley, Bill Nershi and Michael Kang, who were scraping by while ski-bumming in the mid-1990s. Like most young people in ski towns — and many of the thousands of String Cheese faithful expected to descend on Aspen for this weekend’s shows — the young Moseley and his bandmates worked service jobs so that they could ski, bike, hike and occasionally bail on work for festivals like Telluride Bluegrass and RockyGrass. But then the band started getting some traction. “When Billy, Michael Kang and I started playing happy hour gigs in Crested Butte, it was as if this great weight had been lifted of ‘Oh my god, I don’t need to show up and bus tables at the restaurant tonight because I’m playing! This is great. Can we turn this into a full-time thing?’” Moseley recalled. A quarter-century later, String Cheese toasted its 25th with a monumental three-night New Year’s celebration at the 1st Bank Center outside Denver, with special guests like bluegrass master Sam Bush, pedal steel great Robert Randolph and New Orleans funk bandleader Ivan Neville joining in. 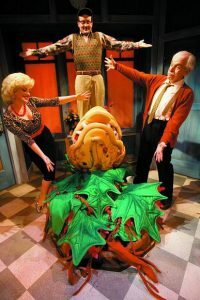 They’ve followed it with celebratory multi-night runs of shows in Las Vegas; Lake Tahoe, California; and New Orleans. “We are all really thankful that we’ve been able to do it and that the fans have been along for the ride for this long and we’re excited about where the band stands,” Moseley said. The recording studio and rehearsal space gives the band — finally, after 25 years — the chance to lay down songs whenever they’re inspired. It untethers them from the expensive and anxious grind of renting studio time and trying to make an album’s worth of tracks in a limited number of days. Since going to work in the Lab last year, the band has released nine surprise singles. These fresh tracks hop un-self-consciously from bluegrass to funk and country to EDM to jam rock. The most recent came March 29, when they dropped “I Want You,” their folky down-home collaboration with Andy Hall of the Infamous Stringdusters. 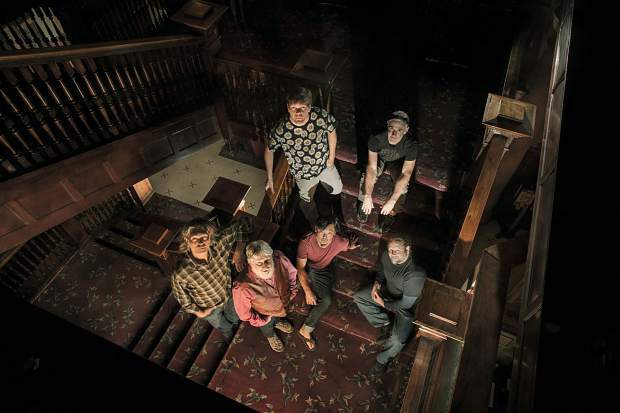 A paean to Colorado living, with breezy feel-good lyrics like “If the mountains are my home/Guess I’ve really got it made/Feels so fine to chase the sun/On a sunny day,” the band strategically released the single before this hotly anticipated Aspen run of shows. Recent live shows have also been peppered with premieres of diverse and often untitled new songs that have sent String Cheese’s fervent fan-base chattering online. With the Lab at their disposal, String Cheese simply loads in their gear whenever they get back from the road and they make music whenever they want. 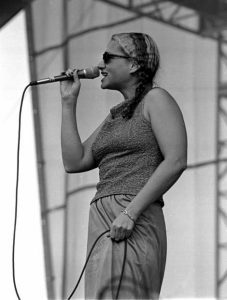 They’ve additionally released a slew of live recordings in recent months — including a March 2002 set at Denver’s Fillmore Auditorium — with recordings selected by band archivist Larry Fox. String Cheese has never broken up, though for several years — after the arduous tours supporting the 2005 album “One Step Closer” — its members turned their attention to other projects. They didn’t release new music between 2005 and 2014, with scant live shows between 2007 and 2010. In short, String Cheese burned out at the tail end of its first decade of aggressive touring and unhinged live shows. They learned from that experience, Moseley said, to keep it fun and fulfilling by making time for family and creative exploration off stage. “Being able to have a bunch of new songs to play out live really keeps things interesting,” Moseley said. And these days they mostly book multi-day runs of concerts in places they like. 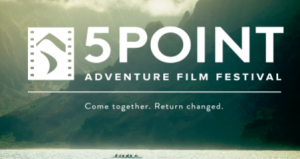 So, sure, a three-day concert series in Aspen or Jamaica or Lake Tahoe keeps the band happy. They challenge themselves to not repeat any songs over the course of a multi-day single-city stand. For a series like this weekend’s, that puts them in the 90-to-100-song range, which Moseley said is a welcome challenge. 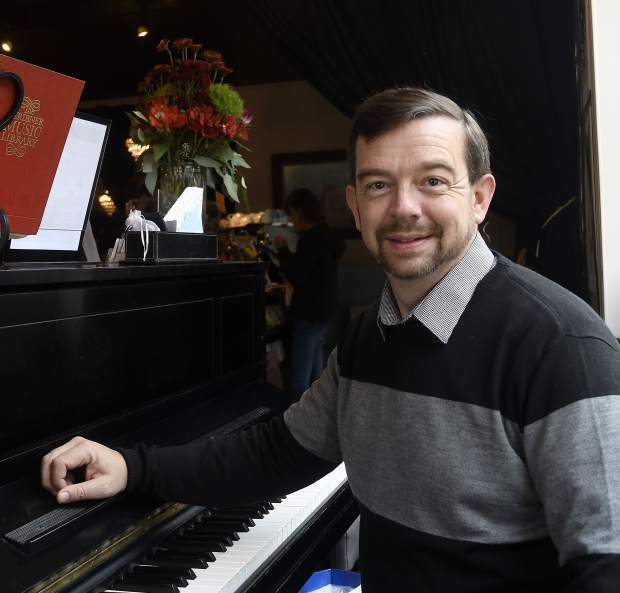 Celebrating 25 years in Aspen, Moseley and his bandmates can’t help but get nostalgic about their early shows here in the mid-’90s and their apres roots in Crested Butte. But it’s clear that they’re still looking ahead.